Astro Locator makes it simple for astronomers to get their OTA "polar aligned" quickly and easily. It is of particular benefit to new astronomers who set up and break down each session, so is of great use to those without the luxury of an observatory. Astro Locator’s primary purpose is to help find Polaris or Sigma Octantis quickly and easily, so ensuring that the astronomer can get polar aligned quickly and easily. 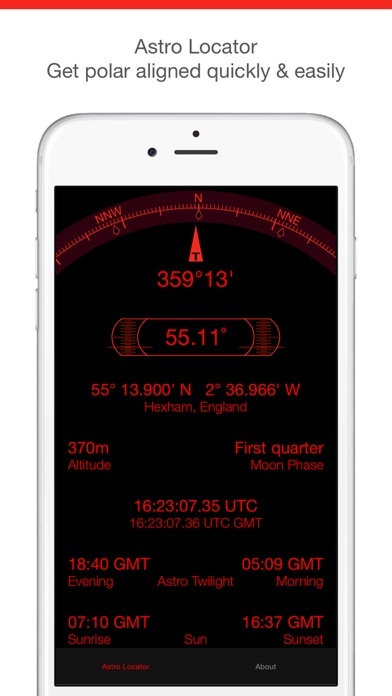 Displaying the current direction, elevation, latitude and longitude, altitude, moon phase, sunrise and sunset times as well as astro twilight times. All data required to quickly and effectively locate Polaris or Sigma Octantis displayed clearly on one screen. Astro Locator shows correct elevation. Accurate time shown in both UTC and local time zones for accurate setup and Iridium flares. View sunrise and sunset times, as well as astro twilight start and end times to know when viewing and imaging is possible. See the current moon phase. 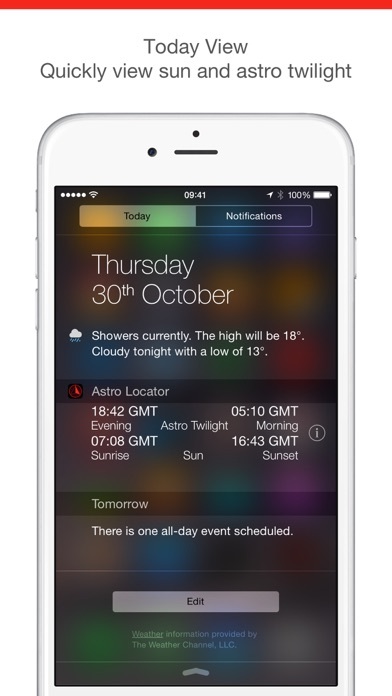 Today Extension: Whilst the sunrise & sunset, and astro twilight times are of course available within the app, they are also available for quick access as a Today Widget. Just a quick swipe down to view the days information. Don't waste your money. Bought it hoping to find an obstructed polaris it needs unfortunately to see it. BTW not intuitive and I work in software. If you already know how to align your scope this sw is useless, USELESS! 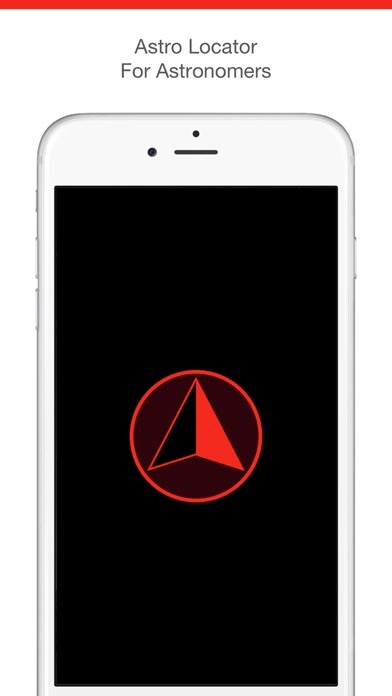 Astro Locator is quite the compass and does exactly what it is designed to do. I use it to align my telescope to true North and also set the declination more accurately than the gauges on the scope. One caveat is that, through no real fault of the program, it is really sensitive to any magnetic source. This results in false readings if not adjusted for. I have to move my 12 volt battery pack at least 75 feet away to get an accurate reading. That said, I still like the program and find it useful.